We are currently investigating users reporting some issues with power loss (total blackout), managed speed (IAS drop) and missing paper from printer. We are trying our best to get these sorted as soon as possible. However, these issues are somewhat hard to reproduce and don’t necessarily happen on every system or flight. Therefore, we are now creating topics so that users can give detailed reports that are kept in one place to investigate further and to have some clues how we could reproduce these issues. This thread focuses on issues with managed speed (IAS drop). If you are experiencing other issues or bugs please use the correct thread or if the issue does not fall under the three categories mentioned earlier create a new forum topic under correct category. This way we can manage everything better and make sure that everything gets addressed correctly. Are you able to reproduce the issue? If so, what are the exact steps you are taking for this issue to happen? All the previous threads on these issues are saved and will be reviewed so no information is lost. After a couple of tests I figured out that the issue with the paper is not to reproduced by any steps taken. I suspect one or more DLL's they are responsible for the print are sometimes not correct loaded or unloaded during the flight. Today I took a flight from LEMH - LIME and all was working fine. After deboarding/reboarding for another flight from LIME - EDDK the printer stops working. (P3D was not restartet. It seems to be the process could not found the PAPER_PRINTSHEET.bpm and the PAPER_WINDOWSHEET.bpm. The 2D of the papersheets are still working after clicking behind the print slot (where the PRINTSHEET should be and clicking at the window site where the WINDOWSHEET should be. So much for this topic being only for managed speed drops. This thread focuses on issues with managed speed (IAS drop). If you are experiencing other issues or bugs please use the correct thread or if the issue does not fall under the three categories mentioned earlier create a new forum topic under correct category. @Artox67 I have created individual topics for each issue so that we can keep them separated and organised better. If possible, attach a log file. Same as reported previously, managed speed target (as displayed on the PFD) changes apparently randomly, to an apparently random speed in mid-flight. Most often seems to happen after passing a waypoint, but not always. MCDU speed target sometimes changes as well, and not necessarily to that given by the PFD. perhaps it is also useful to mention which weather engine is used. This is because I am now investigating the relationship with the problem and the active sky engine. I can not prove it yet, but I begin to see a relationship with it. Maybe I'm wrong, but because it seems that not everyone suffers, you have to exclude things. Added a section for add-ons. Thanks for the tip! @WillsB3 If you are going to make a video of the whole flight, at least give us a timestamp where is happens so that it's a bit easier for us to spot it. Also, if you could follow the form mentioned in the opening post with all the information and logs that would help a ton as well while we try to figure out what is going on. I’ll try, but I don’t really know at which point it goes wrong. I only know something is up when nearing top of climb and then the aircraft starts falling out of the sky ;). Anyway i’ll so my best. The idea of recording the whole flight was that you would also be able to tell if it was user error at the flight setup phase (because I’m not a qualified pilot so that js very likely...!) which could contribute to causing the issue. It's fine to record the whole flight if you want to. But it will help us to find things from 30+ minute video if there is a timestamp when the problems really start to happen. Of course you will know the time it happens after recording it. Additional information (route, weights, special area where the issue occurred etc. ): I was flying online on Ivao with a mate. Same route (ELLX-LIPZ), same plane (320CFM), same airbus version (1.2.2.1). He's is a frequent flyer (almost 1 flight a day) and never experienced that issue. The only difference with my system is that he doesn't run Active sky but a different weather engine. IVAP, the IVAO pilot client may be causing this. The winds shift so drastically (when the weather engine is selected ON in IVAP config), maybe that causes the flight management computer code to fail. I fly only on IVAO, maybe that's why I sometimes get the issue, when winds shift in a specific way. Latest occurence was again on IVAO. Logging is on now. If ever it happens again, I'll report as requested. Klisura, is your IVAP config weather tick is selected? My mate was flying on Ivao as me (was just 50 miles in front of me), and he always flyes on Ivao without this issue. Heading out over the ocean so frames/performance is in no way an issue. Occured somewhere before ISLES. I did not notice it immediately because the funny thing was that it was still maintaining the proper speed, perhaps because I was in Open Climb (as opposed to managed climb? Also, as the altitude increased, the target speed decreased. It was 170+ +/- around FL250 or so, gradually decaying into the 140s as I approached my clearance of FL340. Upon climbing to cruise at FL350, the problem disappeared. Another observation - when I select speed at cruise when the speed target is working properly, the window displays a mach value. When it's not working properly, it displays a speed value and I have to hit SPD/MACH to dial in the desired value. 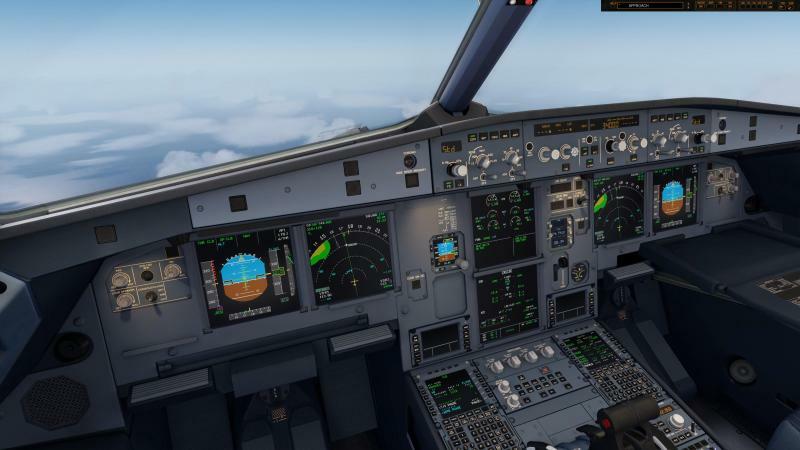 Add-ons in use: Active Sky (v6909), REX SkyForce 3D (textures and real time sync only; no weather engine), PF3 (ATC), EnvTex, FSX Tracker, ORBX (various), FSDT KJFK, FT KBOS and TNCM. We agree, it is annoying and we are seriously hard at work trying to find out why this happens to 34 (known) customers and not to tens of thousands others. As you have it you can help by sending us the information requested. Just saying you have the issue does not bring the solution for you closer. 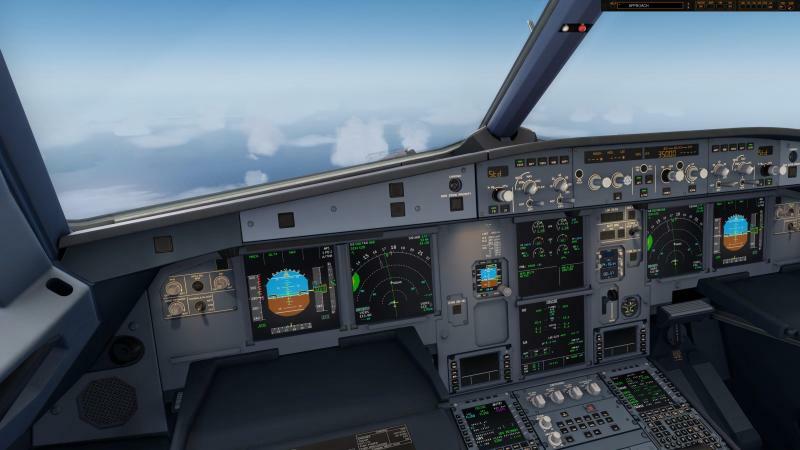 Description of the issue: After passing about 26000 feet and after the end of speed restrictions, the speed drops to 124 knots in managed mode (A321 IAE), even if the mcdu shows .79 set as speed. No, seems to happen randomly. Wheights: Sorry, I don't have them saved as it is some days ago. Thank you all for your reports so far. We are not opting out anything yet but it sounds unlikely at this point to be caused by weather engines or network clients. I cannot stress enough also the importance of log files if at all possible. They could hold some key information in then when the issue happens that we could look into. The biggest issue right now is that it's very hard to reproduce for the testers so anytime it happens to a user it would be great to get as much information as possible. Could bei the weather engine. I make a Test flight without active Sky this weekend and Report Results. 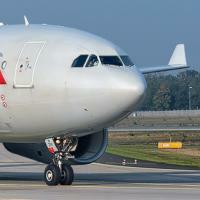 However, the Problem still exist with AS, chaseplane and Atc- pro x. No Speed in Managed Mode in every Version of the Bus. Same Problem as many others. Mcdu Shows correct Speed but the Bus sets Speed to 125 knots. I am a new purchaser of Airbus Professional and noticed the bug immediately into my first flight. I do hold a A320 series type rating and spend about 85 hours a month in one so I couple of odd things jumped out at me on the first fight. I love the Aerosoft product as it is beautiful inside and out, the nice surprises like the printer and clip board. The copilot and checklist feature is great too. Anyway, back to the problem, I pretty much have a vanilla setup with just Active Sky and ChasePlane. I'm probably wrong, but the managed speed mode seems to enter some form of approach mode soon after take off, and remains in the mode all through CLB/CRZ/DES. It could also explain the goofy TOD predictions too. What can I do to help? Can I fly a short flight and somehow share a "log"?